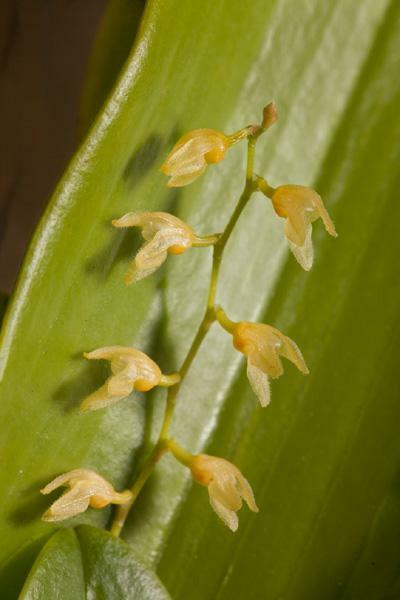 Stelis is a large genus of mainly epiphytic orchids containing about 500 species widely distributed throughout much of South America, Central America, Mexico, the West Indies. They are closely related to Pleurothallis and Masdevallia. 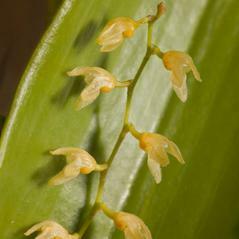 The species within Stelis are some of the most taxonomically complex of all the orchids, however they have never been popular in the horticultural industry. Most species have long, dense racemes of small, translucent flowers in shades of white and yellow. The dorsal sepal is usually the most prominent part of the flower, with the other sepals and petals being minute. The tiny lip is often lobed and hairy. Some species have flowers that are light sensitive. They open only in the sunlight and close tightly at night.